Sunstar Cricketing talents Mitchell Starc and Jordan Silk leave for the UK this weekend after finishing their preparation with the Australian Cricket squad. 21 year-old Jordan has been selected in the Australia A squad after a successful finish to his debut season at First Class level with Tasmania. Jordan fortunately got to experience a bit of the conditions last season playing in the UK and he will be pushing hard to make his mark as a Test opener for the future. 23 year-old Mitchell was selected in the ICC Champions Trophy and Ashes squads. Mitch has had an amazing run the past 12 months after success in all 3 forms of the game for Australia. After having ankle surgery to remove bone spurs in March, he is almost back to full fitness and looking to be the spearhead for Australia in gaining back the Ashes urn. Mitchell has had experience in the UK before, playing for English County side Yorkshire last season. He finished his stint at Headingley capturing 32 wickets at an average of 15 accross all 3 forms. 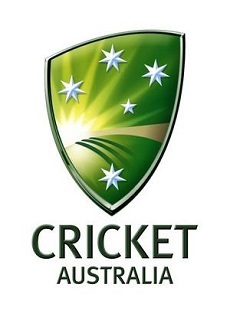 Detailed fixtures and broadcasting information on all of Australia’s matches in the UK can be found here.